Established in 2000, Talking Blues have helped literally thousands of people to join the police. We operate nationwide, offering courses aimed at those who are about to take the national police one-day assessment centre and its associated parts. We are registered at Companies House, and our Logo is trademarked. John McTaggart served in a variety of roles in the service, his last "proper job" being the role of Response Inspector in Cheshire. 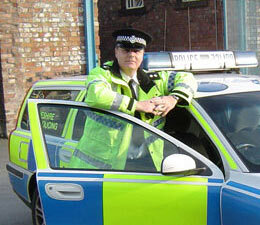 He led the Warrington Division Crime Car Unit and also the Proactive Early Intervention Team. Before that, he served with Merseyside Police in a variety of roles, including training. He holds an MBA, and has police commendations for leadership and bravery. John pioneered police recruitment training in this country. John co-devised and wrote the original IntoBlue course, and has coached literally thousands of students through the recruitment process. He is also the author of "The definitive Guide to Passing the Police Recruitment Process".